Send us your design and we’ll hot foil print it for the ultimate luxury finish. 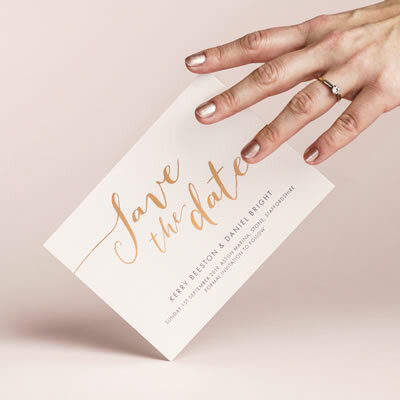 If you are a graphic designer, or perhaps have a friend who is, and would like to design your own wedding invitations, our hot foil printing service is for you. 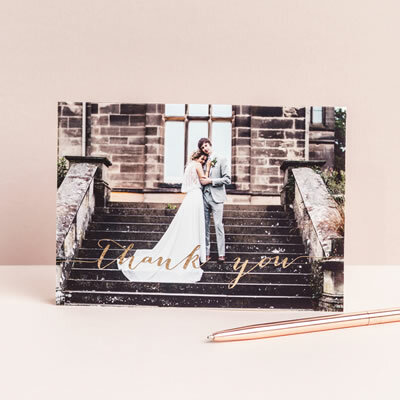 We’ll turn your artwork into beautifully finished foil stationery that will introduce your day with a shine. Read more details below, fill out the simple form, and we’ll get back to you with a quote. 1. The minimum order quantity for all foiled items is 20. 2. 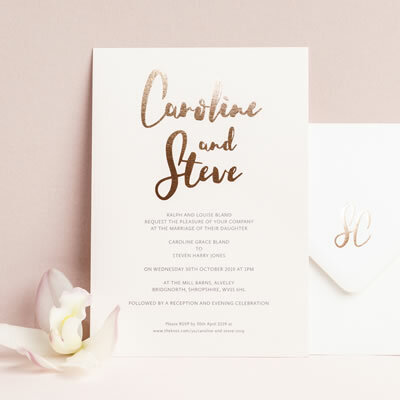 We don't recommend foiling on both sides as an indentation may show through. 3. We don’t make pocketfold invitations. We believe that simple is beautiful. Fill in your details and we’ll send you a quote. We ask to see a visual of all designs before quoting. A draft or example is fine at this stage. Drop files here or click to browse. Please give as much detail as possible about your requirements to help us give you an accurate quote. Please send me advice on ordering my stationery. Once we've received your artwork and payment we ask you to allow approximately 10 working days for your order to be printed and dispatched. Not sure which options to choose?